LAHORE (92 News) – Four terrorists belonging to the banned Tehreek-e-Taliban Pakistan (TTP) were arrested in a raid by sensitive agencies on Wednesday. The police said that the terrorists were identified as Mir Muhammad Khan, Abdur Rahman Khan, Zarab Khan and Ameer Khan. They said that the arrested terrorists wanted to attack churches, important installations and law-enforcement agencies. 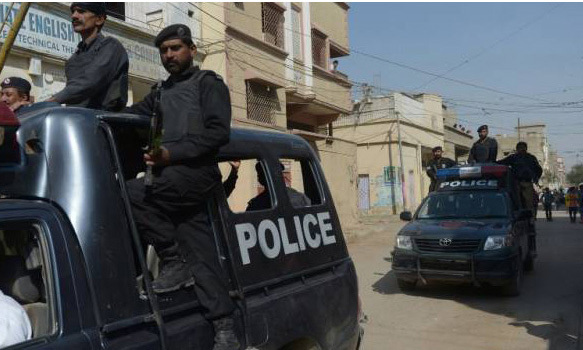 They added that terrorists belonging to Mohammand Agency had confessed to throwing explosives in Garhi Shahu area. They said that suicide jackets, explosive material and weapons were recovered from the terrorists. “The terrorists have been shifted to an unknown place for further interrogation,” they added.